You don't have to be Rich or Old to Write a Will ! You don’t have to be Rich or Old to Write a Will! You just have to be 18 years of age ( this is the acceptable legal age in most states in the US) and even if you are not rich today, yet it is still wise to write your Will. You cannot predict your future, so never be pessimistic. It is quite possible that due to sudden good fortune you win a lottery or in future buy or inherit property through your spouse or even a distant relative. If you have not made a Will yet, you are already late. Get started now! Today I am going to bust a few more myths. 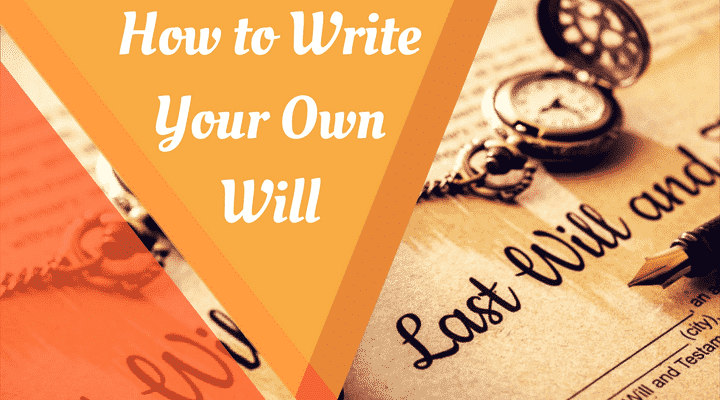 Most of us believe that writing a Will is time consuming and a tedious task, but the true reason we avoid making a Will is because we are lazy and laid back. As a matter of fact, making a Will, projects you as smart, foresighted and a responsible person. Today I shall share with you important tips, on how to make a Will and it’s relevance in our lives. 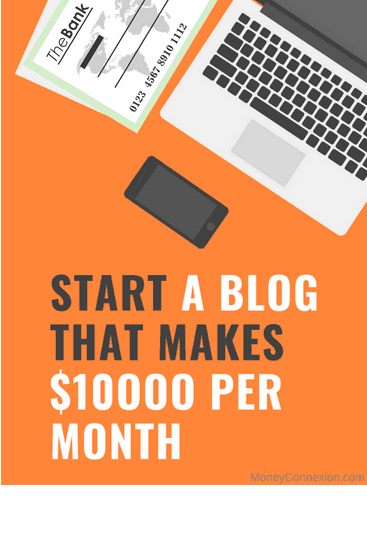 My blog will show you how easy and simple it actually is! Take help from online informative blogs, legal websites or online Will making service that ensures the Will is made as per state specifications. The right to make a Will is created from the right to buy, sell or hold property. In the legal language the person who makes a Will is called a “testator”. Similarly a person who dies without making a Will is said to have died “intestate”. A Will is a legal document which is legally binding. It is made by an individual to express the manner, in which, he or she wishes to divide the Property/Assets, between the chosen persons after the death of the individual. A Will appoints an executor to carry out the distribution of Property/Assets and nominates a guardian to look after the minor children if any. A Will is written by the testator when alive but takes effect only after the testator’s death. One can even change, revoke or cancel a Will if there are any changes in circumstances, like the birth of a child, divorce or change of address or disinherit someone whenever it is required to do so. There is also a provision to add a supplement or an extension called “codicil” to the main Will if minor amendments are required. The legal procedure in its entirety, from the courts to the distribution of Property/Assets is called a probate. After the death of the testator, the Will has to get the approval of the court before initiating further process. Wills can be broadly classified into Holographic or Handwritten Will and the Oral Will. Holographic or Handwritten Will: A holographic Will is strictly in your own handwriting. In some states, no witnesses are required while in others two or more witnesses are required. Holographic Wills are recognized in about twenty states. Oral Will: An oral Will, also called a noncupative Will, is spoken before witnesses. Few states recognize this type of Will and is used only in emergency situations. What happens if you die without making a Will or intestate ? When a person dies intestate, the state makes a Will on his behalf and distributes the property between the legal heirs and creditors. It is quite possible that the deceased person may not have wanted it but now that is not feasible. Sometimes a particular property is not included in the Will in such a case it shall be treated as residual property and disposed of by the state as per the legal procedure. If you die intestate and live in one state and own real estate and/or tangible personal property in one or two other states, your property Will be distributed according to each state’s intestacy laws and you could end up with different sets of beneficiaries. The bereaved family has to deal with lot of issues regarding non inclusion in the list of inheritors, loans, debt long due, payments towards certain services from like Attorneys, Chartered Accountants etc. before they can start leading normal lives. To avoid legal battles and disputes on unequal distribution or unfair practices in settlement of debts. 1. In the United States the law governing Wills varies from state to state and hence a Will made by a resident of the state of Texas may not be applicable in state of California. The state laws are revised periodically and you may have to check on them before you make a Will. A little effort Will go a long way. 2. If there is any fear in your mind of not being able to freely express your intention in the Will regarding distribution of your assets or estate seek legal help from an attorney. Your Will should be simple and easy to understand. 3. There are different types of Wills and one can choose the best one suitable to our needs, check with an attorney to make sure the type of Will you are making is accepted in your state. All Wills need the assent of the court to be declared valid. The uncertainty of life makes it very important that we do not postpone this activity. 6. It must show the date and your signature and the fact that you signed it in presence of the witnesses (many states allow “self-proving affidavits” attesting that the witnesses observed the signing of the Will). 7. The essential condition of “sound mind and contractual capacity” can be established by having a doctor certify your statement, in your Will or by making a video film of the entire execution of the Will. This video clip Will stand as an electronic evidence if is disputed in court of law. The following is some basic information required by most states in writing a Will. Be precise while spelling out your name, identification and the details of your family. Any misunderstanding can prove troublesome in your execution of Will. a. Your name in full as it is spelt out in your ID. Mention your Social security number. Include a statement that this is your last Will and thereby you are revoking any other existing Will or Wills or codicil if one exists; but if you wish to keep any other Will alive or operative mention it explicitly in this Will. You have to appoint your Executor and usually one Alternate Executor in your Will; Accompanied by a list of powers you want your Executor to have. Your executor can be a person or an organization. Generally speaking it is best to select someone who is a named beneficiary or inheritor of the estate. It is essential that the person is competent to carry out your final wishes as outlined in making your Will. The executor is responsible for administering the assets of the minor beneficiary in accordance with the terms of the Will. In some instances there may be no one suitable for the role. In such cases you might consider nominating State Trustees as your executor who is neutral.They Will be paid out of your estate. You can nominate another person(s) to care for your children until they are adults (i.e. be their guardian). You can write down any other wishes for your children, regarding education and extra-curricular activities, career options etc. Classify your assets on basis of approximate value of each asset and whether there is a mortgage or loan. Jot down who should get what. Identify whether you own significant asset such as a house, property or car independently or with someone else, (for example: a spouse or business partner. If an item is ‘jointly owned’, the surviving owner Will acquire the property automatically when you die. The jointly owned asset Will not form part of your Will. If the item is owned as ‘tenants in common’, the portion of the property owned by you may be dealt with in your Will. In addition ensure your certificate of title for your house, land is kept along with your Will. Missing or lost titles are not only expensive but also time-consuming to replace after someone passes away. State what happens to remaining property (residual) not mentioned in the Will. The smaller items in your asset list which have intrinsic, personal or emotional value such as jewellery or other family heirlooms. These can be special gifts to your grand children or to a pending wedding in the family. Beneficiaries are the persons, charities or organisations that you wish to benefit from your Will. Beneficiaries may receive specific gifts and/or a share in your residuary estate. Your residuary estate is what remains after the payment of any debts, funeral and testamentary expenses. I suggest it be optional, and dealt with separately. You are free to decide how you would like your last rites to be observed. To cope with unexpected twists in your family, financial circumstances, businesses etc such as matters concerning disinheritance, divorce, previous marriage, beneficiary with special need. The best way is to ensure a custom made Will by consulting an Attorney. Your accountant and financial planner’s up to date details are required so that your executor can contact them after your death to confirm financial details. When you make your Will, you can also consider preparing your powers of attorney. In that, you can appoint another person to make decisions for you when you are unable to make decisions yourself. This might mean managing your financial affairs, making decisions about the way you live, or making decisions about your health care and medical treatment. Please note that in some states, when a Will is created, an in terrorem (no contest) clause can be included to discourage anyone from challenging its validity. This clause essentially forces a Beneficiary to choose between taking what he/she has been given under the Will or being completely disinherited. If the Will does not have an enforceable in terrorem (no contest) clause, it can be contested in probate, but only by a person with legal standing. Simple Last Will and testament format to help you understand. I am married to Name:________________ hereinafter referred to as my spouse. I hereby declare this to be my last Will and testament. I hereby revoke, annul and cancel all other Wills and codicils made by me either jointly or severally. I hereby declare in my last Will that I am of legal age, fit, of sound mind and having contractual capacity. I am making this last Will out of my own free Will and choice and not under any undue influence, force or duress. I hereby nominate constitute and appoint __________as executor or if the executor is unavailable or unwilling to serve then I appoint ___________________as alternate executor. I hereby give and grant the executor all the powers and authority allowed and required by law. I hereby direct that my Executors shall not be required to furnish security and shall serve without any bond. Pending the distribution of my estate my Executors shall have authority to carry on any business, venture or partnership in which I may have any interest at the time of my death. My Executors shall have full and absolute power in his/her discretion to sell all or any assets of my estate, whether by public auction or private sale and shall be entitled to let any property in my estate on such terms and conditions as may be acceptable to my beneficiaries. My Executors shall have authority to borrow money for any purpose connected with the liquidation and administration of my estate and to that end may encumber any of the assets of my estate. until such time as they attain the age of _____________ years. I direct that my nominated Guardian shall not be required to furnish security for acting in that capacity. 8. I bequeath the whole of my estate, property and effects, whether movable or immovable, wheresoever situated and of whatsoever nature to my spouse _______________________. 9.1. Should my spouse not survive me by thirty (30) days I direct that the whole of my estate, property and effects, whether movable or immovable, wheresoever situated and of whatsoever nature be divided amongst my children named in 2. above in equal shares. 11.1. Words signifying one gender shall include the others and words signifying the singular shall include the plural and vice versa where appropriate. 11.2. Should any provision of this Will be judged by an appropriate court of law as invalid it shall not affect any of the remaining provisions whatsoever. Signed on this _________________ day of _________________20_____ at this location _______________________________________ in the presence of the undersigned witnesses. Keep your Will in a safe place, like a safe deposit box or a fireproof safe at home, where it can be easily located after your death. I hope it has dawned on you now that “You cannot die without making a Will”. It is hereby recommended that since there is state wise preferential selection of format and periodic revision of procedures, please consult a legal expert for further guidance. This blog is an informative blog not a substitute for expert opinion and review. Native of Garston, Liverpool, England.